Here we have an example of an "occupational" photograph. It was not often that people were photographed in their work clothing, what we have here is a Cook who was proud enough of his profession to have his portrait taken in his white uniform. He is accompanied by his Pug who lies on the table beside him. We can but speculate on the identity of the fine restaurant or high class home that this gentlemen worked at. However, we do know a little about the photographer - E. W. Procktor. 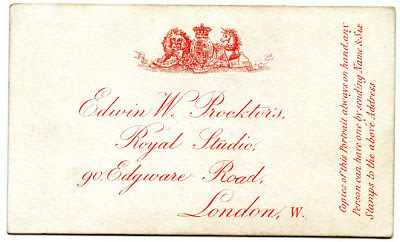 Edwin William Procktor was born in Stepney in 1839. He had a wife Elizabeth and they has two sons and two daughters together. 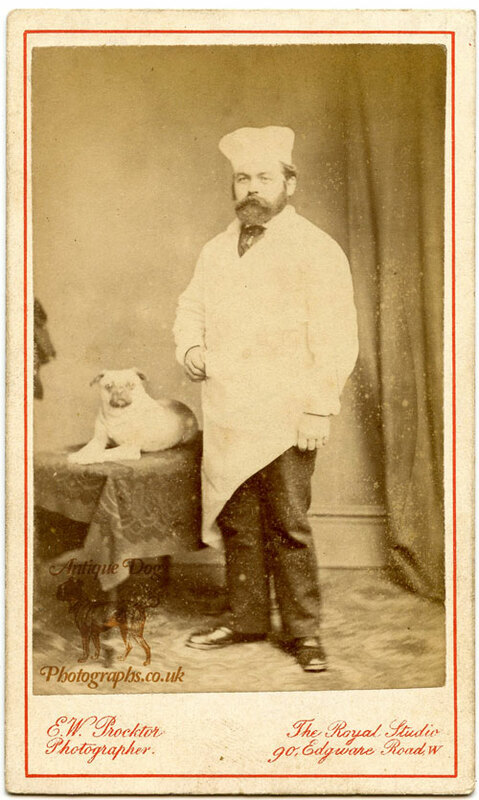 The Cook and his Pug were photographed at Edwin's studio at 90 Edgware Road London. 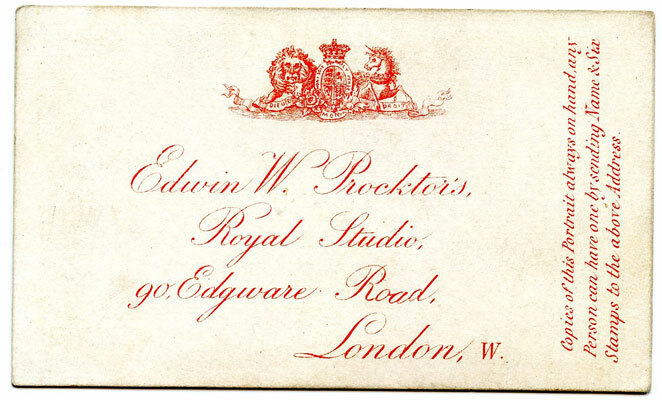 This studio was run by Edwin from 1873 until his death in 1881, after which the Studio was taken over by Elizabeth who was resident photographer until the studio closed in 1889. All the antique dog photographs on this website are from my personal collection, unless otherwise noted. I have been collecting photographs of dogs for the last 5 years, inspired my parents who have been collecting all manor of dog related antiques since the 1970's. If you re-post any of my photos on the web I ask that you please link back to this website. Please do not use the images for commercial purposes. I really hope you find the photographs in this website as fascinating as I do. Lots of lovely things (including more antique photographs) on my Flickr photostream.